This simple example + screenshot cams from Windows 10, but you can also use this solution for earlier versions of Windows operating systems, whether it's a Windows desktop, tablet, or server operating system. 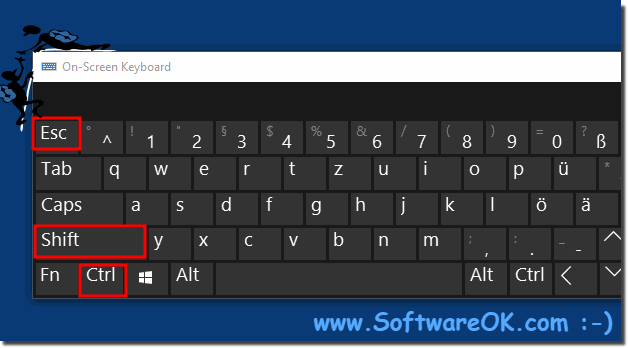 It really makes sense to use this keyboard shortcut for the task manager no matter if in the new Windows 10 or one of the following operating systems: Windows 10 (Redstone 4 & 5) Pro, Enterprise, Home, Windows 8.1, Windows 8, Windows-Server 2016, 2012, 2008, Windows 7 Basic, Professional, Starter, Ultimate this keyboard shortcut for the task manager is tested and verified! 1.) ... CTRL + SHIFT + ESC for all Windows operating systems! 2.) ... The complete view of Task Manager under W8 u W10! See also: How to do a double-click? 1.) CTRL + SHIFT + ESC for all Windows operating systems! This quick solution is suitable for a Windows expert as well as for a Windows beginner. 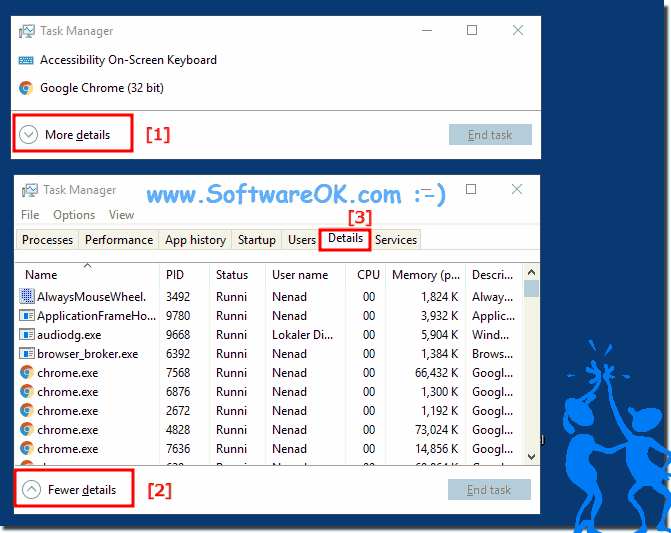 (Image-1) key combination to start the task manager quickly! 2.) The complete view of Task Manager under W8 u W10! (Image-2) More details and fewer details in Windows Task Manager! To view the settings for file sharing, it is best to start Explorer with the keyboard shortcut [Windows Logo] + [E], Afterwards you open the "folder options"